Our master craftsman Jonathan, who has become an experienced traveler thanks to his role at Savoir, has traveled from his home town in Wales to Taipei. He took part in the weekends events at the Taipei Design Centre. 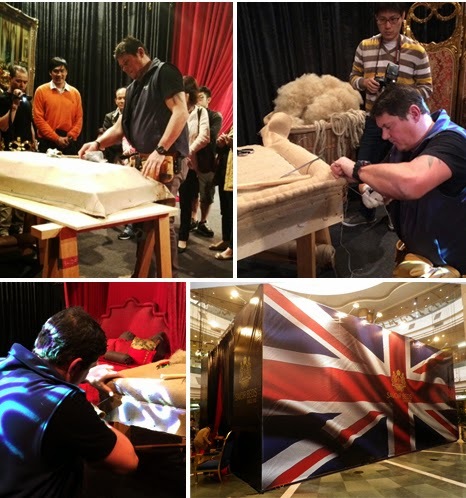 The Royal State bed was on display and Jonathan demonstrated to journalists and clients the techniques used to make the unique No1 base. He gathered quite a crowd and received great interest in the skills and natural materials used to make this product. 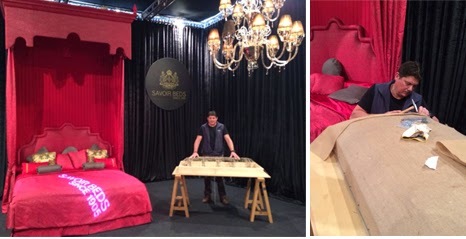 The Royal State Bed has been in Taipei for more than a week now and has generated great interest in the press and received numerous visitors. It has been a fantastic ambassador of British craftsmanship and has put our Taipei showroom, that opened earlier this year, in the limelight. For more photos of the Royal State Bed in Taipei see these links.